The core objective of any and all technological advancement is to reduce human effort and increase quality. Artificial Intelligence may be considered a thing of the future, you’d be astonished at how much we actually rely on artificial intelligence in our day to day lives. Not too long ago, artificial intelligence brought to mind scenes from movies filled with robots, time travel, science fiction and lines of code flashing across computer screens. Now it’s in our lives in a way so subtle, we’re largely not even aware it’s there. Think Siri (Apple), Alexa (Amazon), Cortana (Microsoft) and Google assistant, which have become part of our lives to perform simple tasks. Text messaging is the oldest form of modern long-distance communication and even today the usage has only peaked, even with email, social media, and other platforms. Text messaging is evolving. Consumer behaviour is changing and marketers need to take notice to stay ahead. According to research, 80% of consumers look to engage in communication with business today rather than just receive information from them. Most businesses now use text messaging for customer engagement and it is the most cost-effective channel and SMS will not be left behind when it comes to Artificial Intelligence. The advent of the smartphone has really changed the way we live our lives. From keeping a close watch on our dietary intakes to helping us in scheduling on our routine work schedule. The mobile technology has really gone far ahead. And not just in our personal lives, it has also impacted businesses in a huge way. Changing how we communicate with one and other. Various features are being used by businesses to grow and expand. Think of how bulk SMS has been used as a promotional and advertising tool – Artificial Intelligence is making this tool more effective, meaning advertising is becoming more interactive. Communication is evolving and smart practice is key to success. This involves the usage of the latest communication tools to compete with others and increase work efficiency. Chat bot’s are one of the creatures of AI which speed up text messaging. AI chatbots can function directly in customer engagement and serve a large number of customers at a time. Chatbots can answer multiple questions via text messaging at a time which results in happy customers. Although upgrades are in development. The updates include context interpretation, response time, data upload and perception interpretation. As AI grows, it is important to understand how they are used every day and business will use it for mass communication in the near future. Gone are the days when bulk SMS marketing was restricted to short, simple text. All thanks to Artificial Intelligence which is making SMS more interactive. Customers will benefit from real-time chat if they have interest in any business promotional messages. Isn’t that a great way to stay connected to your customers? Reduction in manpower is equivalent to a reduction in expenditure. Companies are now automating end to end business processes to boost revenue and enhance communication. Also, AI deals with queries within a minimum time period and ease due to no wait time. Businesses save expenditure while earning more revenue with the help of artificial intelligence. Also, AI can work 24/7 for a company without having a break. Businesses have employed mass texting services with integration to their software or website using SMS API. This has enabled them to reach out to thousands of customers at a time. Software companies can use artificial intelligence to run their marketing campaign or dish out transactional messages to existing customers. Once integrated, AI bots can handle the response and even solve problems of customers. Optimization is mandatory on regular basis from a build up to regular feedback which gathers information about customer’s questions and generates response accordingly. AI is rapidly becoming more central to the day-to-day digital world and the marketing and advertising worlds are no exception. AI is a fairly generalized term that encompasses different approaches and technologies that are set to “think” like humans. It is already incorporated into many technologies you probably already know about, such as voice recognition and chatbots (eg. Siri, Alexa, and Cortana, all as mentioned at the beginning of the article). Think about those Snapchat filters. Just rainbows streaming out of your mouth? Just an opportunity to look like a dog with its tongue out? No, this is actually AI at work. 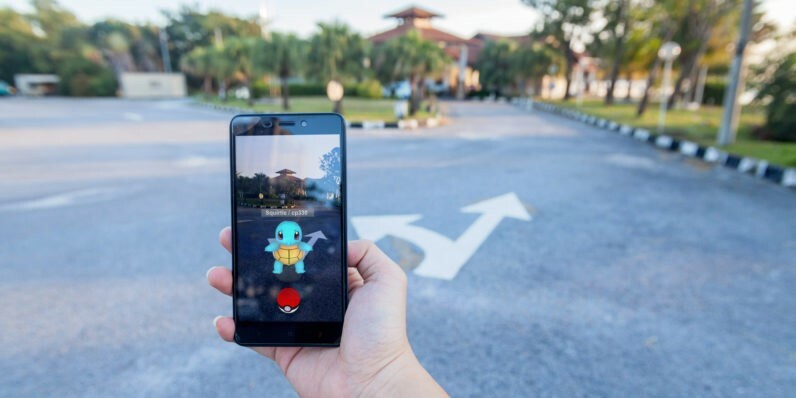 Another example is Pokémon Go which gives users the chance to actually step into this world using augmented reality. Brands that embrace the future, including AI marketing, will win big with customers and find continued long-term success. Those who ignore the shift in customer expectations will continue to be bogged down by data, rather than empowered by it. SMS is evolving, from RCS to advances in Artificial Intelligence, SMS is far from dead, quite the opposite!! SMS has evolved in the last 25 years, revolutionizing the way individuals and businesses communicate and will continue to do so for years to come. We have been in the mobile marketing industry for almost 10 years and serve over 30,000 customers worldwide. We are fully GDPR Compliant and our bulk SMS service keeps things simple for all customers with practical advice and an online website that is designed to be clear and easy to use. Should you currently use another Bulk SMS marketing service provider and are not satisfied with how they will keep you compliant why not give us a call or register for a no-obligation free trial by clicking the image below, check out our super low prices. Click the image below and get started today! !